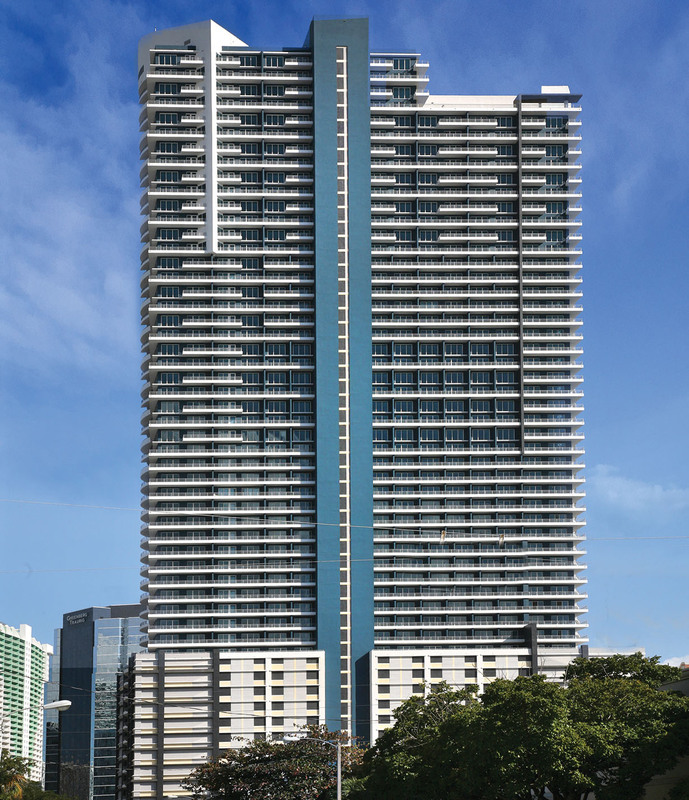 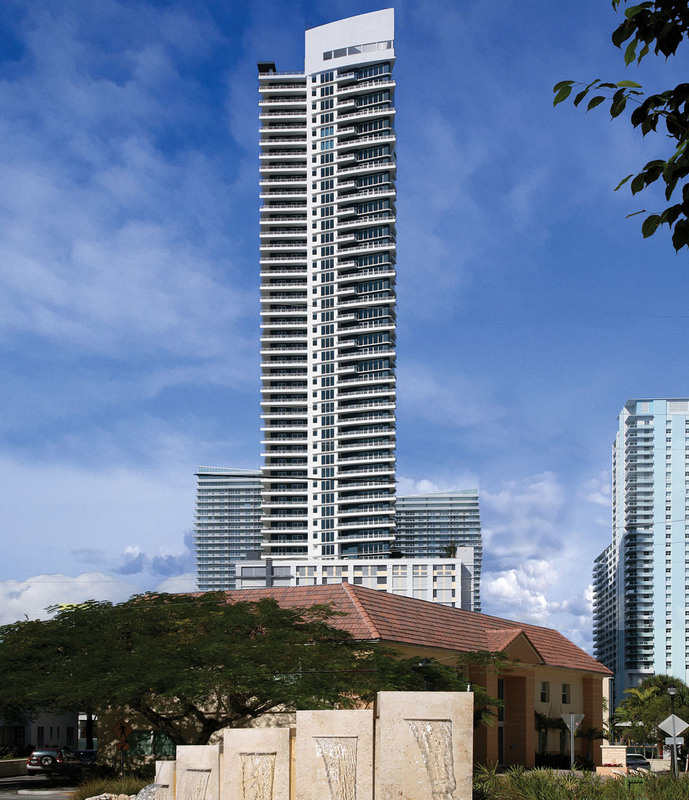 EllisDon joint ventured with the Hunt Construction Group to construct “Infinity at Brickell”, which consists of 460 condominium residences in a 52 story high-rise near to downtown Miami's financial district. 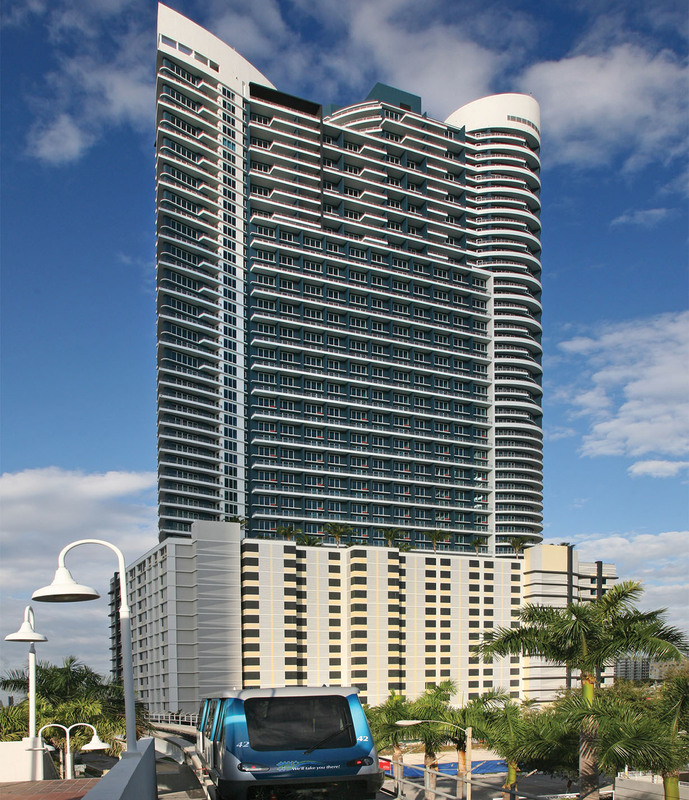 The 1,022,027 gross square feet condominium tower also includes office condominiums as well as parking, retail, swimming pool/spa and restaurant facilities, most of which are contained in the lower podium area. 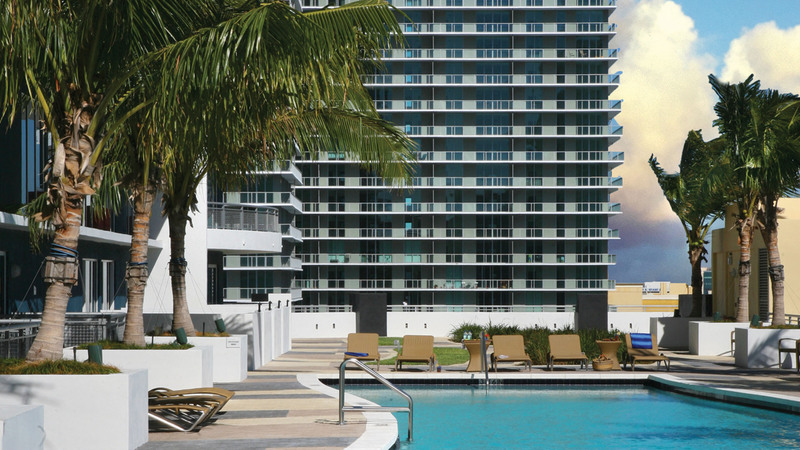 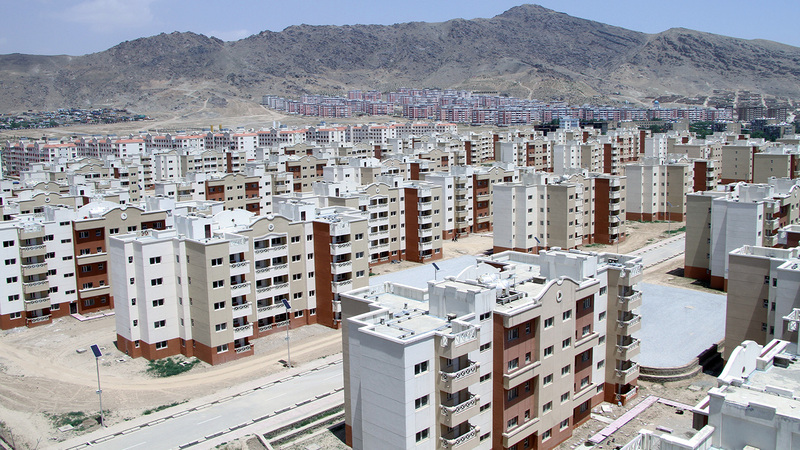 The condominium units are finished to a "white box" or "decorator ready" condition. 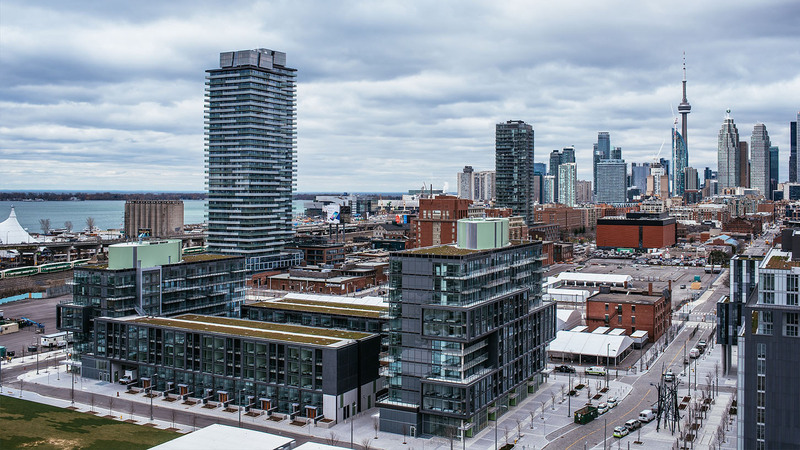 The project was fast tracked and the foundations installed and the tower started while the drawings were being completed in order to shorten the time from when the units were marketed to completion and occupancy. 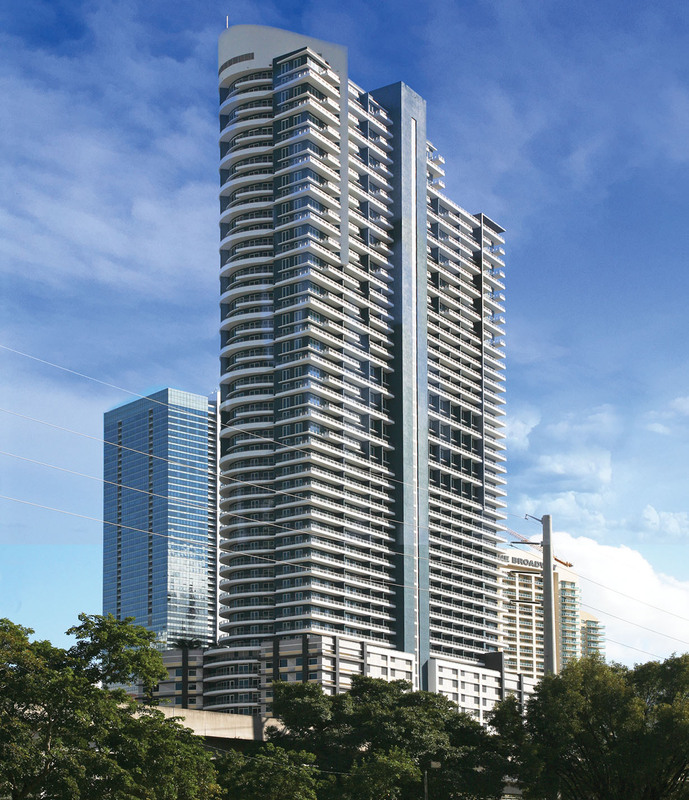 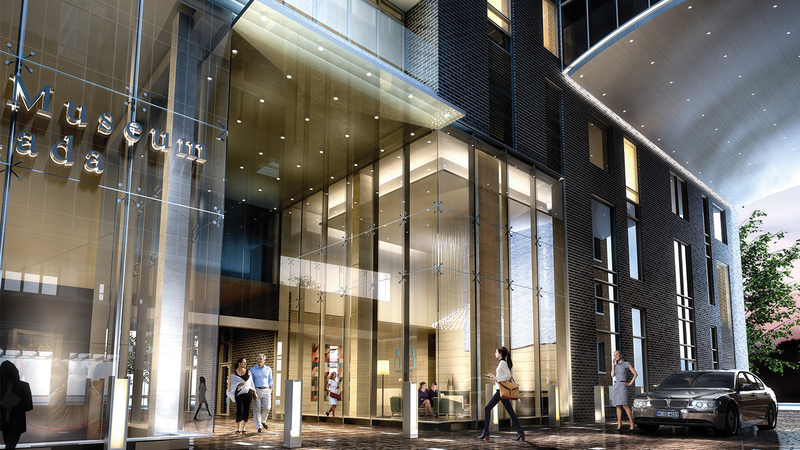 The residential units were virtually sold out before construction began.